This Cottage Garden 2-Tier Server is part of an exciting collection with a twist. 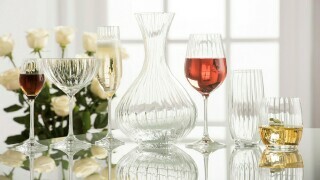 Using our Aynsley patterns we have reinvented them using daring colours and contemporary placements. 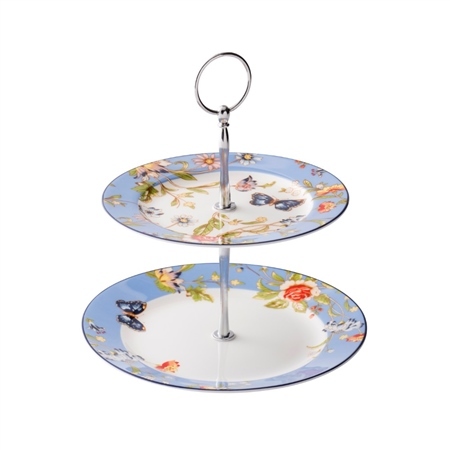 This Cake Stand is ideal for afternoon tea. 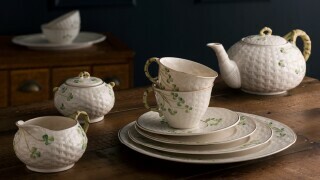 I have this piece, the Cottage Garden tea pot and cups/saucers in my China cabinet. They are stunning and beautifully made. 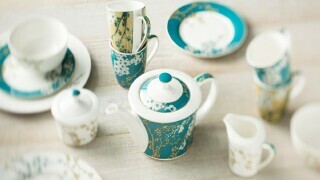 I can't wait to have a high tea for my friends! I love this piece I just wish their was a slightly larger size in addition.